It was awesome to see such a great turnout for the Annual Sophie Swim. 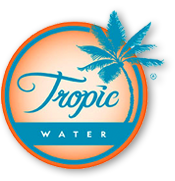 Tropic Water is happy to help support a great community cause, and to acknowledge the memory of Sophie. The foundation was set up in her memory and the money collected will be used to support in school and after school activities which formed a large part of Sophie’s life.